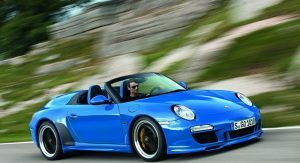 Celebrating its world premiere at the Paris Motor Show alongside the new 911 GTS models, will be a new member of Porsche’s long-running sports car family, the 911 Speedster, which will be launched onto the market in December 2010. 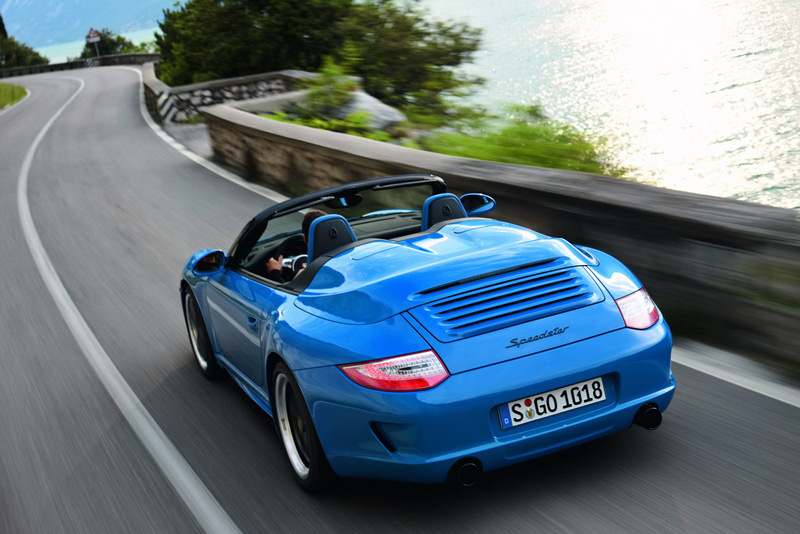 The car might be new, but the Speedster name is old, in fact far older than the 911 itself as it was first used on the classic 356 model of 1953. Porsche revived the Speedster in 1989 with a limited run edition based on the 911 Carrera 3.2, followed in 1992/1993 by a newer model based on the Type 964 911 Carrera. 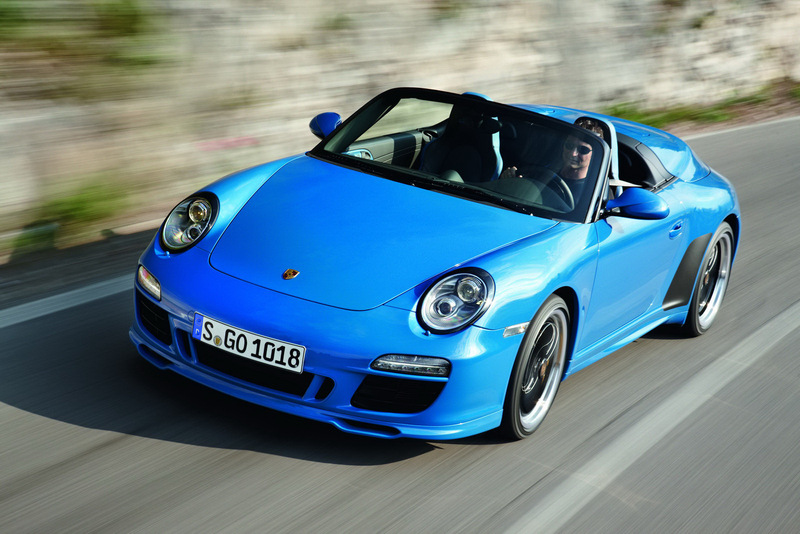 According to Porsche, two examples of the Type 993 911 Speedster were also built to special order. 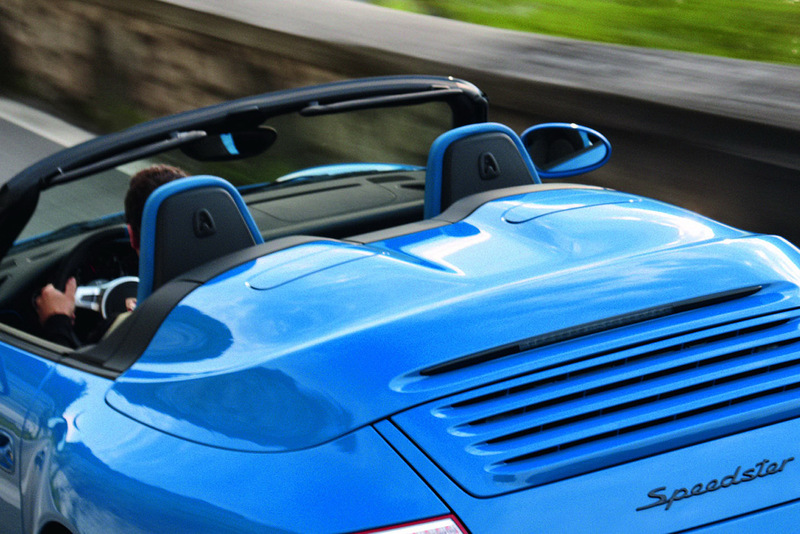 Designed and conceived by the Porsche Exclusive department in Stuttgart, the new 911 Convertible-based Speedster pays a styling homage to its predecessors featuring a 60mm lowered and more rakish windscreen as well as the characteristic ‘double-bubble’ hardcover behind the cabin for the manual soft top. 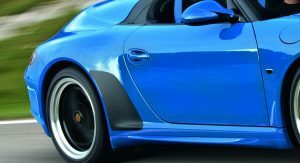 The car’s “chopped down” appearance is further enhanced by the use of the Carrera 4 body with its 44 millimeter wider rear stance. 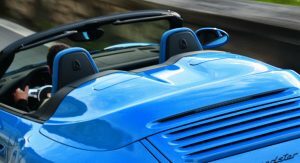 In addition to these changes, the 911 Speedster also benefits from a series of other styling upgrades including a bespoke front spoiler, specific side-skirts, a distinct rear apron, tinted front lights, black headlight surrounds and black windscreen border. 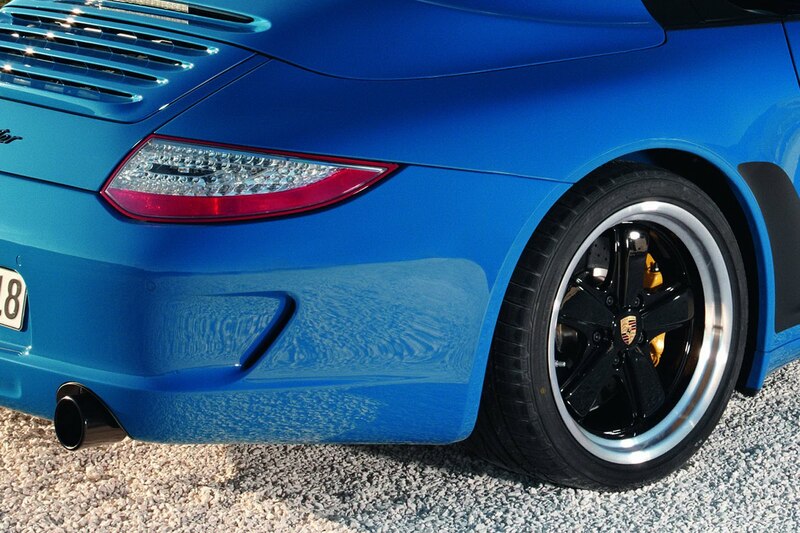 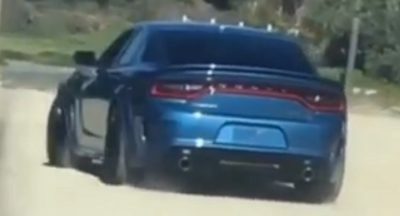 It also features a set of retrotastic Fuchs-style rims and color-coordinated black stone guards ahead of the rear wheels, which are reminiscent of prior editions of the 911. 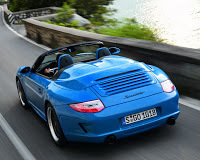 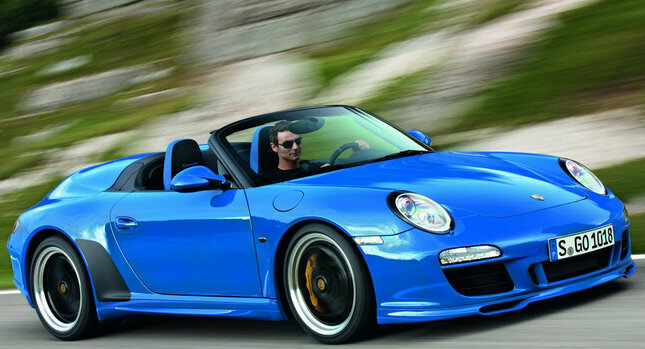 Porsche developed an exclusive “Pure Blue” finish for the Speedster but upon request, the car is also available in Carrara White, at no extra cost. 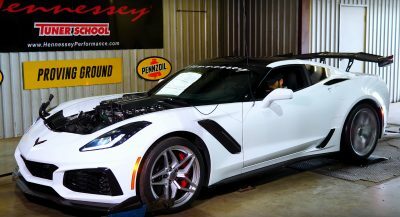 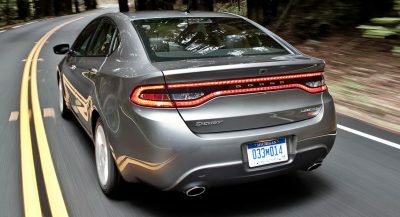 Interior modifications are limited to the specific color and trim options such as the black leather upholstery with color-keyed elements. 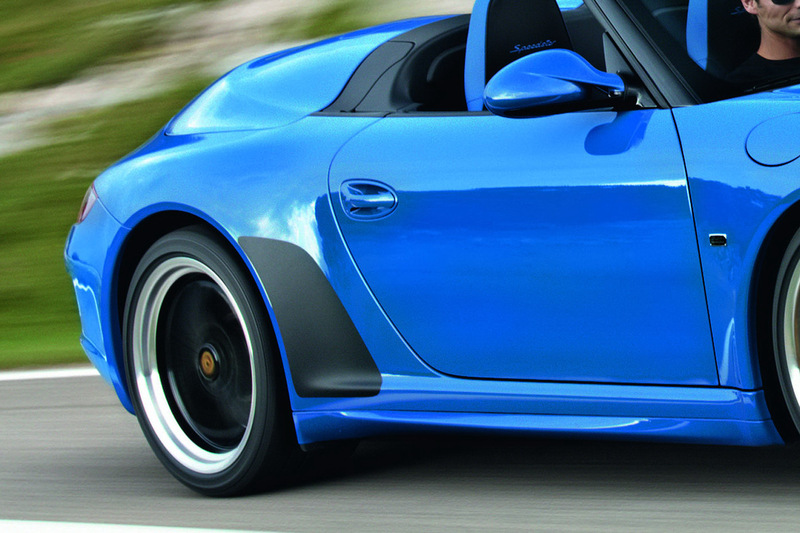 Power for the new Speedster comes from the 911 GTS’s tweaked 3.8-litre flat six that delivers 408-horsepower, or 23HP more in comparison with the 911 Carrera S. The firm’s seven-speed dual-clutch PDK transmission is in charge of delivering power to the rear axle which is fitted with a standard differential lock. 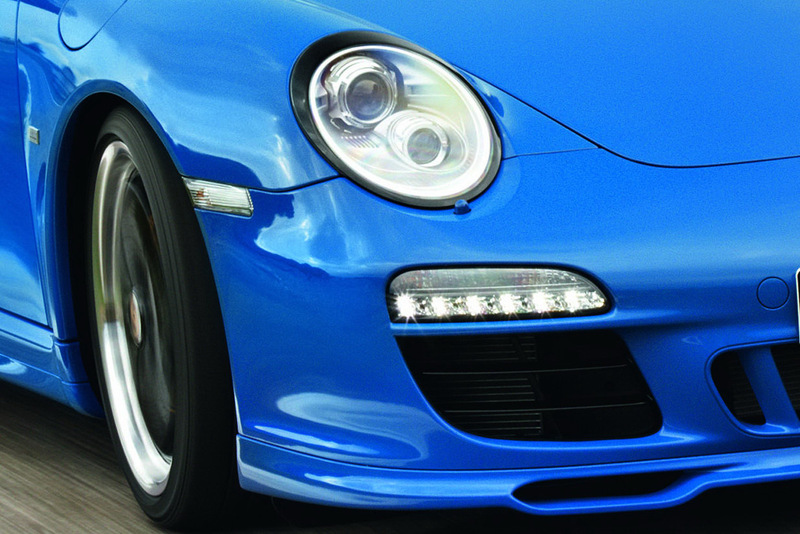 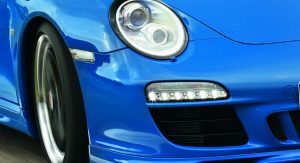 Other standard features include the Porsche Active Suspension Management (PASM) system and Porsche Ceramic Composite Brake (PCCB). 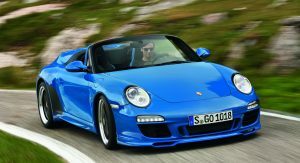 While Porsche did not release performance figures, the Stuttgart-based automaker said the Speedster returns an average fuel consumption of 10.3lt /100 km (22.8 mpg US). 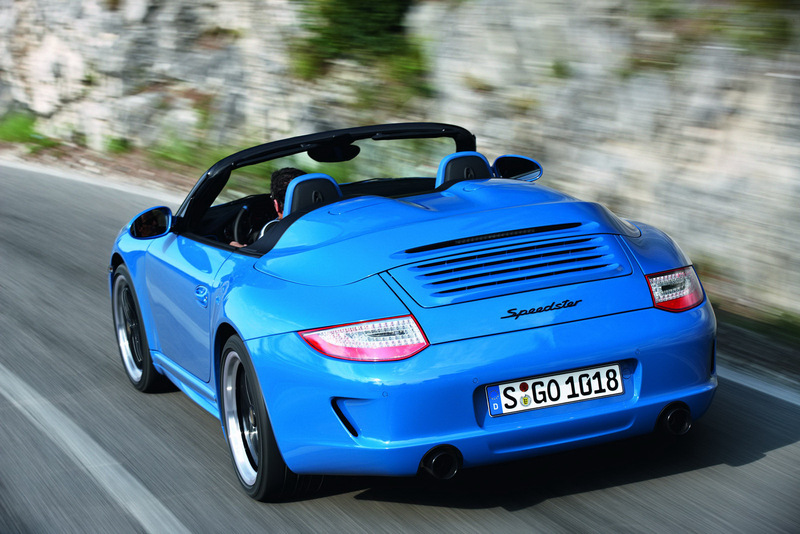 Commemorating its famous 1950’s forebear, the German firm will build just 356 examples of the new Speedster. 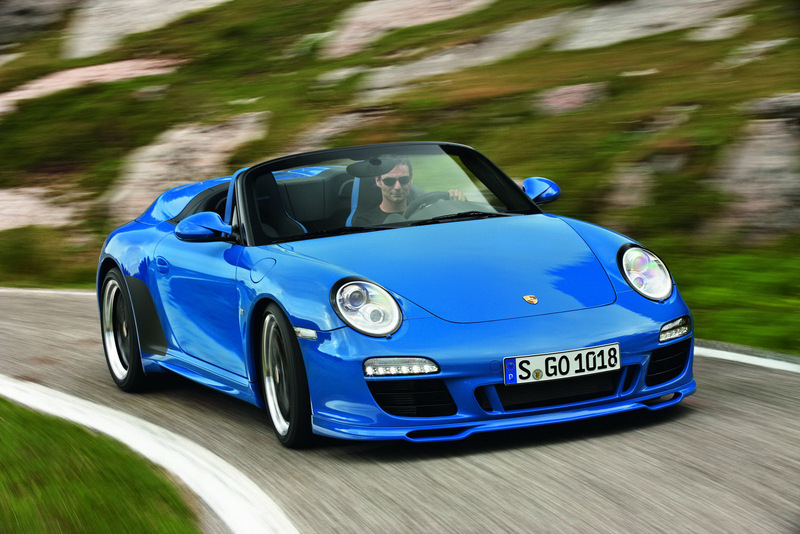 In Germany, the 911 Speedster is priced at €201,682 (about US$263,700), while in the UK, pricing is set at £144,100 (USD$224,700 or €171,900). 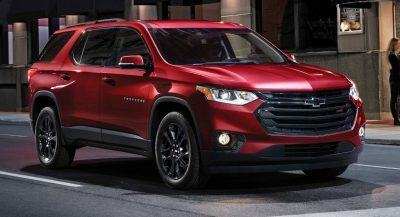 US pricing has not yet been announced.